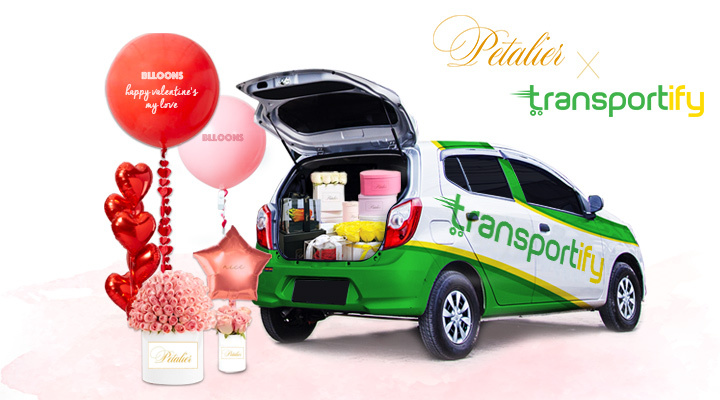 Make your Valentine’s Day Extra Special with Petalier and Transportify! Shop flowers from Petalier and be one of the three lucky winners of luxury balloons! Purchase any flower from Petalier. Like/Follow Transportify Facebook and Instagram page. Winners will be announced on our social media pages on February 15, 2019. As an extra, customers who will book within the month of February will receive P100 credits on their next booking. Applicable to orders made from February 1-6, 2019 with deliveries dated on February 14, 2019 only. Promo is available only to customers with flower orders from Petalier. The winner will be notified by email and/or direct message on Instagram/Facebook or via text message. The FREE balIoon will be delivered together with the order. In case the winner cannot be contacted or do not claim the prize within 2 days of notification, we reserve the right to withdraw the prize from the winner and pick a replacement. For customers who will book, your P100.00 credits will reflect after 24-48 hours upon completion of your first booking.